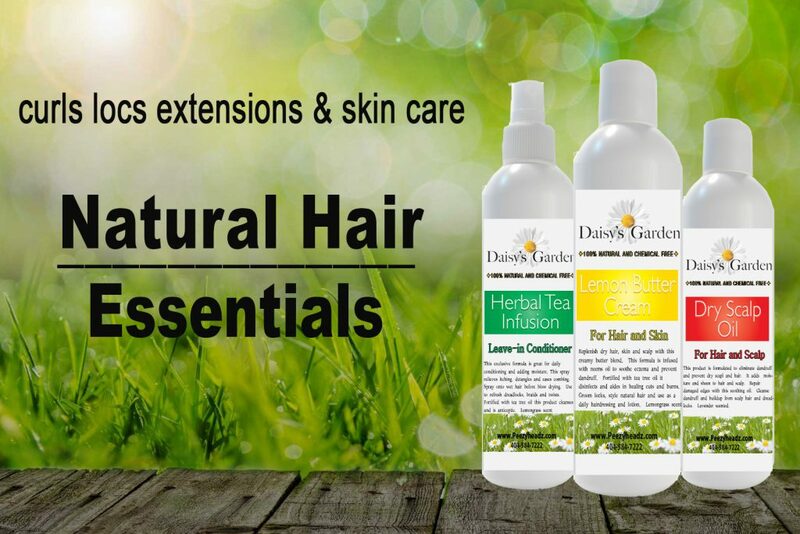 Daisy’s Garden Products are homemade from family recipes. Our products are comprised of essential oils, butters from the earth, plants and herbs. These ingredients are formulated to promote healing and rejuvenation for hair, scalp and skin conditons. Active ingredients such as lemongrass, tea tree oil and neem seed oil aid in fighting severe dandruff, eczema, bacteria and more. An all natural ingredients list keeps our product nontoxic, environmentally friendly and animal-cruelty free. Products must be kept cool or at room temperature. Shelf life is up to 6 months.